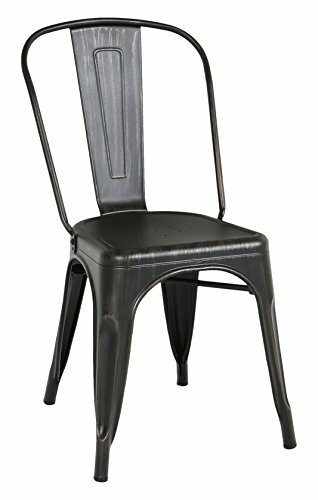 Enjoy the convenience of minimal assembly with these durable, stackable metal Café chairs. The antiqued finish and bold color options together offer a unique, modern design for any room in your home. Featuring rubber Bottom leg pads to protect the floors in your home office, bedroom, living room, or dining room, these chairs are the ideal choice.